It is very common for companies and organizations, regardless of size or industry, to use a mix of different hiring tools and methods to find their ideal hire. Depending on the specific vacancy or the career level, certain companies opt to use a CV search tool, traditional job postings, assisted sourcing services, or even a fully branded career portal with an applicant tracking system. But most of the time, companies complement these technologies with an internal referral program. Employee referral programs are, in fact, a leading tool for talent sourcing based on the resulting candidate quality and retention rates. According to the Bayt.com Hiring Practices in the Middle East and North Africa Survey, employee referral was among the most popular methods for recruitment, especially for managerial positions, where 38% of employers said they use this approach. This is why a well-executed referral program can do wonders for your talent pipeline. Nurturing a system to obtain employee referrals should be a top priority for every business due to many reasons: referred hires dramatically reduce cost-of and time-to hire, referred hires generally exhibit a higher culture-fit and truly reflect your employer brand, among other benefits. Setting up a referral program is also not that complicated. You’ll first need to come up with a goal or a vision for the program. For instance, are you attempting to have more senior candidates in your pipeline? Are you trying to increase your workforce diversity? Are you trying to cut hiring costs? After you determine the objectives of the program, set up a very simple and user-friendly referral system, communicate to your employees what the program is all about, and bring it to life. Be it new joiners or existing employees, it is crucial that you educate everyone in your company on the benefits that an employee referral program provides for them and the company in general. Highlight the various tools that they can use to achieve these benefits. Data works best because it gives an objective view of the program’s returns. • 88% of employers rate employee referrals as the leading source for quality hires. • 70% of referred hires exhibit higher retention rates compared to employees hired from other sources. After educating your senior employees and obtaining members so that they are incentivized to refer their personal connections for company vacancies. Also, make it a practice to highlight the program and its benefits during employee onboarding and training as this will motivate people to sign up for it from day one. • Is it easy to submit a referral? • Is it easy to track if the referring employee was given credit? • Is it easy to track the incentives that were earned? If you get a “yes” to all of these questions, then you are well on your track to deploying an engaging employee referral program. However, if the program makes your employees jump through hoops to place a referral, you can be sure that it won’t attract many participants. Therefore, give a lot of attention to making the process smoother and simpler in order to give your program organic reach. Much like any voluntary behavior, it’s essential to incentivize the referral process. To promote your program, publicize your incentives and keep showing your employees what’s in it for them. Doing something as simple as highlighting employees who participate in the program, regardless of the outcome of their referrals, can bring favorable results for the program’s popularity. Because one size doesn’t fit all, you can always incorporate a mix of monetary and non-monetary rewards to keep your employees interested. Naturally, the best way to attract participants is to make it look like they need the program, and not the other way around. When there’s a company opening, you don’t want to settle after announcing it once. To keep your employees actively thinking about it, provide them with regular updates about the progress, but without spamming their inboxes. You should also involve your marketing team to encourage employees to opt into automated social sharing to expand the reach of your job postings. Since your employees’ personal connections mostly live across their social media accounts, use software like GaggleAmp to automate this process and share job ads across their Facebook or Twitter accounts with a few simple clicks. This will keep the referral process top-of-mind and convenient for all employees, which makes it that much easier for them to take part in it. Once you launch an employee referral program, you’ll notice its engagement fall over time. It’s natural for people to be more interested when the program is new. To keep employees interested long after its launch, keep shuffling your incentives each quarter and periodically send out internal newsletters to keep employees up to speed with the latest rewards mix and job openings. You can also introduce a social hour for new hires and the employees who referred them as a gratuitous gesture. This will not only bolster your employer brand, but will also contribute to keeping your program on top of everyone’s mind. Don’t leave your employees in a limbo when they refer their best connections for a job opening. Nothing will repel participants from the program faster than the notion that their involvement didn’t matter. Keep them involved in the hiring process by actively letting them know which stage of the hiring funnel their referral has reached. Provide a follow-up before they ask for it as doing this will make them feel valued. Even if an employee’s referral doesn’t get through, deliver this news honestly without criticizing them for their referral choice and show gratitude for their help in the process. This transparency will breed an environment of trust and that will keep the referrals coming. If you use an Applicant Tracking System (ATS), managing your program will become very simple. Through your ATS, you can centralize all the referrals and keep them organized. It will also help you in identifying duplicate referrals in case two employees refer the same candidate or if the candidate already exists in your talent pipeline. An ATS will also save you from switching back and forth between different applications to view, store and share all the referred profiles. It will allow you to easily evaluate the performance of the program and spot areas that need improvement. When you work so hard on making your referral program a success with the employees, don’t forget the ones sitting in the HR department. Once the referrals start flowing in, they’ll appreciate the technological relief brought about by an ATS too. 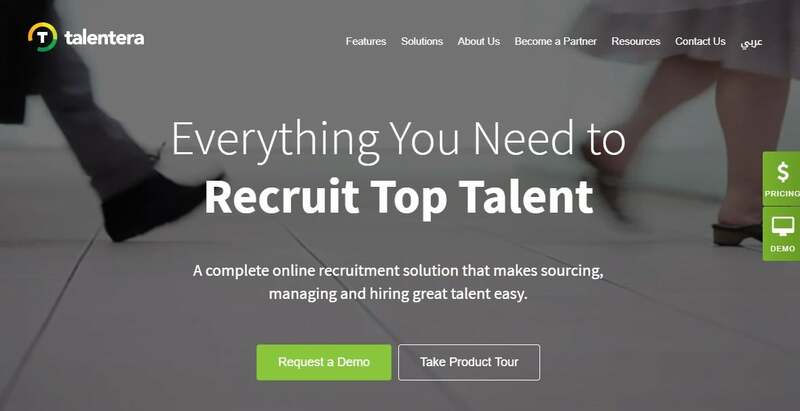 Recruiting technology, like Talentera, requires minimal effort from the employee and recruiter end to keep the program afloat. It makes it easy to track which employee applied to the program and, in turn, makes it easy to extend a reward when their referral is hired. With its robust features, you can quickly find the most relevant referrals and prioritize your star referring employees who have a history of recommending the best candidates. If you provide convincing reasons for your employees to make referrals, they will definitely do it and if you manage to keep your employees happy, you will increase their chances of engaging with the program and in making repeat referrals with their best recommendations. Discuss the importance of referrals with your employees frequently. Use recognition and creative incentives to keep them engaged in the program. Remember: large monetary incentives and persistent nagging don’t have to be your only resort. By simply focusing on your employees, their satisfaction and your employee value proposition, you can ensure that your employee referral program thrives.